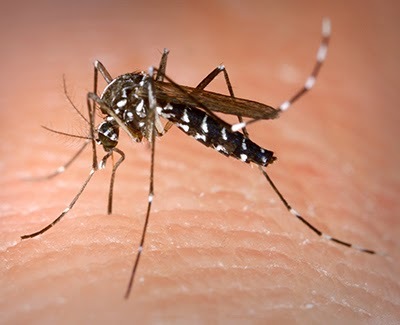 Brazilian researchers in Rio de Janeiro have released thousands of mosquitoes infected with bacteria that suppress dengue fever. The hope is they will multiply, breed and become the majority of mosquitoes, thus reducing cases of the disease. The bacterium Wolbachia is found in 60% of insects. It acts like a vaccine for the mosquito which carries dengue, Aedes aegypti, stopping the dengue virus multiplying in its body. Wolbachia also has an effect on reproduction. If a contaminated male fertilises the eggs of a female without the bacteria, these eggs do not turn into larvae. If the male and female are contaminated or if only a female has the bacteria, all future generations of mosquito will carry Wolbachia. As a result, Aedes mosquitoes with Wolbachia become predominant without researchers having to constantly release more contaminated insects. Dengue re-emerged in Brazil in 1981 after an absence of more than 20 years. Over the next 30 years, seven million cases were reported. Brazil leads the world in the number of dengue cases, with 3.2 million cases and 800 deaths reported in the 2009-14 period. Charging your phone may soon be as simple as sitting down at your desk, thanks to a device called MagMIMO that can charge phones at a distance. Wireless chargers exist, but they require a phone to be right next to a charging pad. 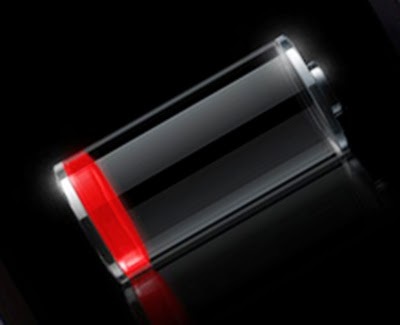 At a distance of 30 centimetres a prototype can charge an iPhone 4s battery from dead to full in just under 5 hours. It doesn't matter what orientation the phone is in – upside down in a pocket or flat on the desk – and the phone needn't be stationary. MagMIMO borrows a trick from radio communications: advanced Wi-Fi routers can detect when a computer is connecting to them and boost the signal in their direction. MagMIMO does the same thing, but using magnetic fields instead of radio waves. An array of wire coils generates a magnetic field and when a phone disrupts that field, MagMIMO senses it and focuses on the phone by creating a slightly different field with each coil. The magnetic fields reinforce each other so as to maximise the strength of the overall field reaching the phone. India has successfully put a satellite into orbit around Mars, becoming the fourth country to do so. 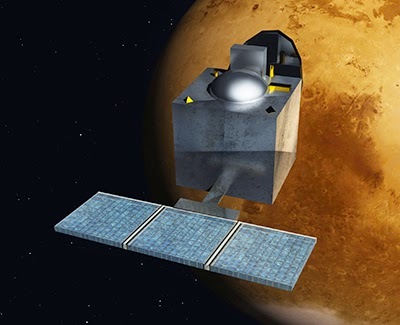 Mangalyaan - more formally referred to as Mars Orbiter Mission (MOM) - was launched from the Sriharikota spaceport on the coast of the Bay of Bengal on 5 November 2013. The Mangalyaan robotic probe will soon begin work studying the Red Planet's atmosphere. One key goal is to try to detect methane in the Martian air, which could be an indicator of biological activity at, or more likely just below, the surface. The total cost of the Indian mission has been put at 4.5bn rupees ($74m; £45m), which makes it one of the cheapest interplanetary space missions ever. Nasa's recent Maven mission cost $671m. This equipment usually costs thousands of dollars, but Smart Vision Labs says it has made a device with the same functions that clips onto an iPhone. 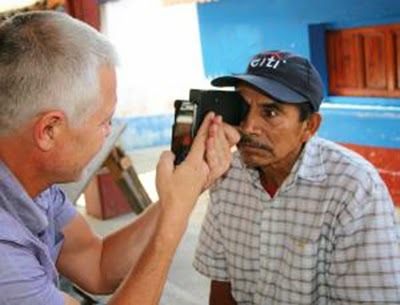 It can estimate vision problems by taking a handful of pictures of a person's eye and using software to analyse them. The company plans to sell it as part of a low-cost kit for people in developing countries. For those of us who desire a compact camera that delivers non-compact camera photo quality, the only choices have been the Sony RX100 trio or the Canon PowerShot G1 X Mark I and II. 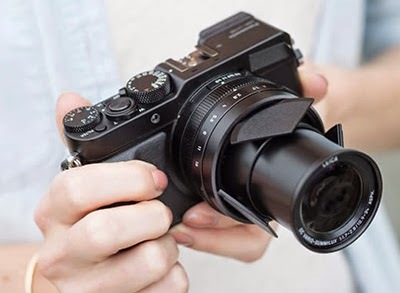 I've been very impressed with the RX100 III's image quality and excellent video features but, like some of my colleagues, I don't find it very pleasant to use. While I like the photo quality and controls on the PowerShot G1 X Mark II, it's just to big for everyday use. 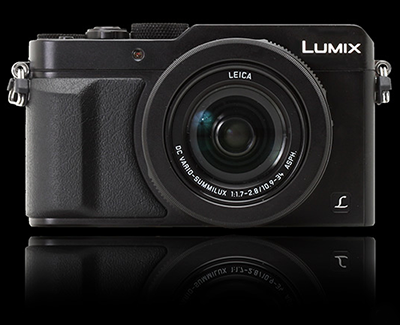 The LX100 fits in-between these models, with more of a lean toward the G1 X II. It's not pocketable like the Sony but it's not quite as bulky as the Canon. It's nicely built, as you'd expect from a $900 camera. The physical dials for aperture, shutter speed, and exposure compensation allow for quick changes. I'm less enthused about the electronic viewfinder, which uses a 'field sequential system' that causes a sort of rainbow effect and drives my eyes crazy. Some coworkers thought that it wasn't as bad as on the GX7, which Panasonic said may be due to an increased refresh rate. If you want shallow DOF on a compact camera, this is the camera you want to buy. The lens isn't as long as I'd like, but that's the trade-off that was made to keep the LX100 as compact as possible. The camera lacks an ND filter as well, though you can screw one on to the front of the lens. Some other features I'm excited about are the DFD autofocus system which was so impressive on the FZ1000, the multi-aspect modes that Panasonic has made very accessible, and the ability to record 4K video. 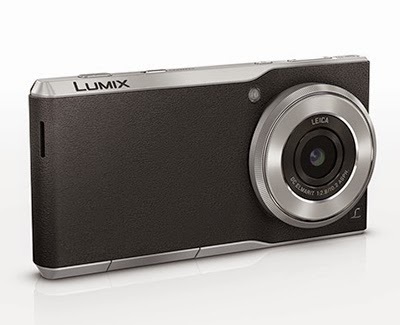 The Panasonic Lumix DMC-CM1 smartphone features a 1 inch 20MP sensor, which is likely the same imaging unit we've seen used by other recent high-end compact cameras like Sony's Cyber-shot RX100 III. The large sensor is coupled with an F2.8 Leica lens that offers an equivalent focal length of 28mm. This is by far the best camera specification on any smartphone and the 20MP resolution should even allow for a good-quality digital zoom. The CM1 is also capable of recording 4K-video and Raw images. Focus, aperture, shutter speed, ISO and white balance can all be adjusted manually, and there's a mechanical click-wheel around the lens ' barrel' on the front of the camera/phone. With 180 mm travel and the Bosch performance motor, the NDURO turns your hometrails into a bike park. This eBike will pretty much handle anything you throw at it. Its perfect for the serious mountain biker from full on downhill trials to local bike parks. The spec of this electric bike is top end. 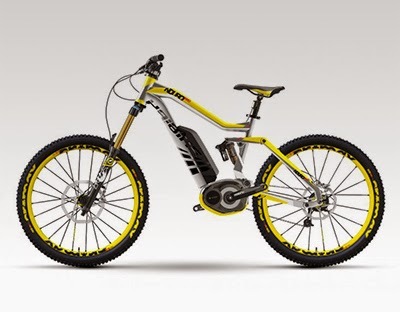 You have Mavic Enduro wheels, Sram XX1 drive train and, of course, completely newly developed suspension of the Haibike Sprocket Equalizing System (SES). The bike also features a Fox's premium kashima coated forks and rear shock. Avid's X.0 brakes on big uprated rotors supply more than enough stopping power in any condition. Bosch eBike System on Haibike NDURO PRO 26 2014The new Haibike NDURO PRO 26 eBikes feature the latest Bosch Performance crank drive motor, so you can be sure its fitted with the latest kit and set up for optimum performance. This system outputs 60Nm of torque & peaks at 500w! It offers up to 275% assistance on turbo mode, while Eco mode offers a more subtle 50% assistance. There are 4 levels of assistance and you can turn it off completely and ride it as a normal bike! 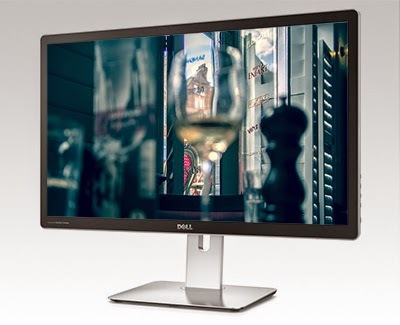 The monitor is the world’s first screen with a 5120 x 2880 pixel resolution. With 14.7 million pixels, there is a lot of data to move around, and it will be a challenge for anything but the most powerful graphics cards as it has almost twice as many pixels as a 4K screen. The monitor has dual DisplayPort 1.2 sockets. The monitor also has two 16W integrated Harmon Kardon speakers built in, six USB ports and a media card reader. No price has been announced but $2,500 (£1,500) has been suggested. I was skeptical of the new eyefi mobi cards recently released, but when I bought a new compact full-frame camera for an upcoming bike tour, I decided to try it out after hearing the smartphone integration was much better than previous models. You start by installing a custom profile to your phone which stores the WiFi password on your card and auto-connects your phone to your camera whenever you power up your camera. You run a mobi app on your phone, and it quickly transfers images (even 26 megapixel RAW images) to your phone. From there, you can selectively choose which images to save to your phone’s native Camera Roll, then share them any way you see fit. Last week on a trip to NYC I took my new compact camera with me and could easily upload photos to Instagram and Twitter within seconds of taking the photos. I can take a photo with my camera, open up my phone, touch the mobi app icon and about ten seconds later I can be saving that image to my phone’s camera roll. I could also manipulate and tweak the images in iPhone apps like VSCOcam, Photoshop Express, etc. directly on the phone before sharing it out to the world. "IT'S like having a new life," says Lucy Banda, a farmer in Mwambaso village in western Malawi. Over the past three years she has trebled her farm's output and increased her income 15-fold. 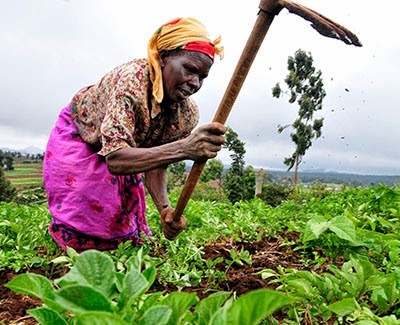 Banda is one of 1.75 million African smallholder farmers, 40 per cent of them women, enrolled in a $180-million five-year programme run by the Alliance for a Green Revolution in Africa. AGRA was set up in 2006 by the Bill and Melinda Gates Foundation and the Rockefeller Foundation. Now, its latest report says the scheme is achieving its aims. Flagship projects in Tanzania and Malawi have each recruited 18,000 farmers, while in Ghana 117,000 have signed up. On average their farms' yields have doubled. From these initial three countries, the programme has expanded to 18. "We hope by 2015 to have reached 20 million smallholders," says Bashir Jama of AGRA, who runs the organisation's soil health programme. 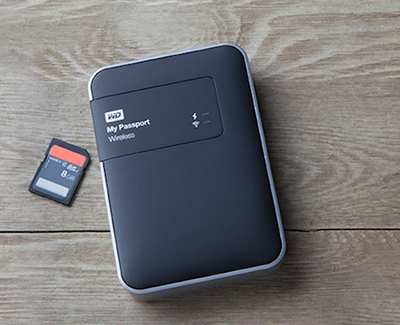 The My Passport Wireless drives include an SD card slot so you can unload photos on location without having to get an intermediary device involved. When you’ve filled up your camera's SD card, back it up by sliding it into the included slot. 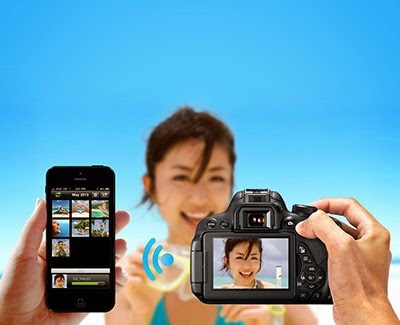 The photos can then be viewed and downloaded onto any of the connected devices wirelessly. It will allow you to wirelessly connect up to 8 devices to it without any need for an Internet connection, and can act as a WiFi hub/hotspot. It runs off of a rechargeable battery that will last for up to 6 hours of video streaming and 20 hours of standby time. Price: 1TB - $180, 2TB - $220. The Eye hinges on a 360-degree camera that views the room at a 45 degree angle and takes 30 pictures per second. Those photos become a live map of the room. To get started, the Eye undocks itself from a charging station affixed to the wall. The robot triangulates its position in the room, finds the centre, and starts spiralling outward. Once it has vacuumed 10 square feet, it relocates to clean a new patch. Infrared sensors keep the Eye aware of pets or thin table legs, but the bulk of the vacuum’s spatial smarts come from the real-time map of the room. Once it’s covered the entire floor, it scoots back into its charging dock. 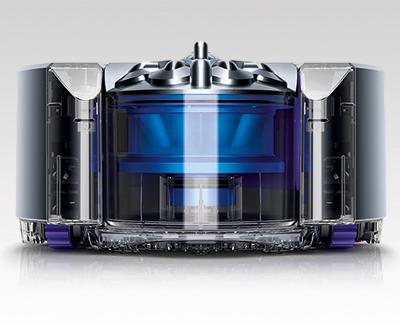 The Eye has one of the company’s proprietary digital motors that whirs at 104,000 RPM — that Dyson estimates has 20 times the force of other robot vacuums. In place of standard wheels the Eye uses treads, so the Eye can climb over ledges or door frames, sucking dust out of cracks and crevices along the way. And unlike other scuttling vacuum cleaners, the Eye’s brush bar is as wide as the body of the robot, so that everything in its path gets a full sweep. 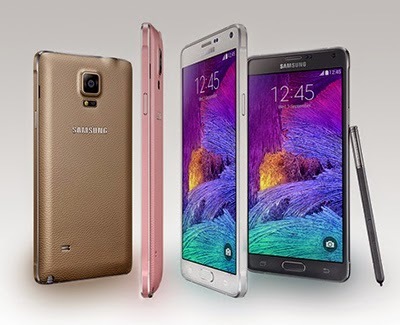 Samsung has announced the latest iteration of its top-of-the-line phablet, the Galaxy Note 4. In terms of design the new model is very close to its predecessor, the Galaxy Note 3, and also features the same faux-leather back. Under the hood, however, things have been upgraded significantly, specifically in the camera department. For mobile photographers, the big news about the Galaxy Note 4 is its optical image stabilisation system. The Note 4's camera sensor is the same 1/2.6-inch 16MP BSI CMOS unit with F2.2 maximum aperture as on the Galaxy S5. There is also a 3.7MP front camera with a fast F1.9 maximum aperture and a couple of features for improved selfie-shooting. You can use the heart-rate monitor on the device's back as a shutter button and the front-camera allows for recording of selfie-panoramas. The Note 4 comes with a 5.7-inch 2560×1440 QHD (a pixel density of 518 ppi). Android 4.4 is powered by a quad- or octa-core processor and 3GB of RAM. 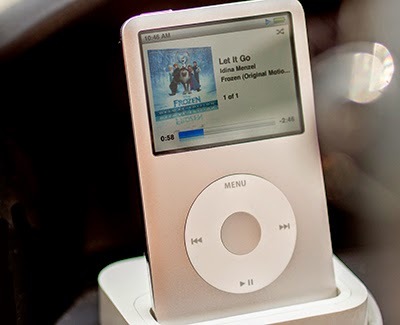 Images can be stored on 32GB internal memory or a microSD card. The 3320 mAh battery offers a quick-charging mode that according to Samsung lets you charge from 0 to 50% in 30 minutes. 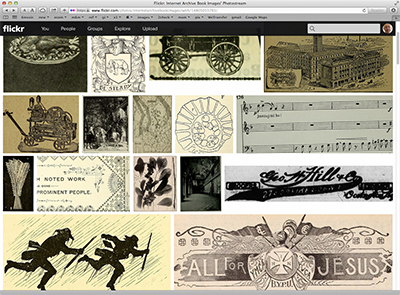 The photos and drawings are sourced from more than 600 million library book pages scanned in by the Internet Archive organisation. Cooper Hewitt is a contemporary sans serif, with characters composed of modified geometric curves and arches for the recently renovated Cooper Hewitt Musuem. Available in 7 weights and complementary italic versions, it is based on his Galaxie Polaris typeface. 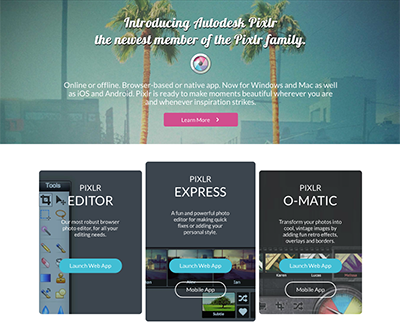 Pixlr has been a favourite online photo editor and mobile app for years. Now, you can get the same Pixlr experience with even more fun and powerful tools on your Mac or Windows computer.